In the past few months, my morning routine has changed. Instead of firing up the kettle and grinding out ~25 grams of coarse coffee, I’m find myself praying that my son has turned the rocker switch so I can begin the ritual of the manual espresso machine. 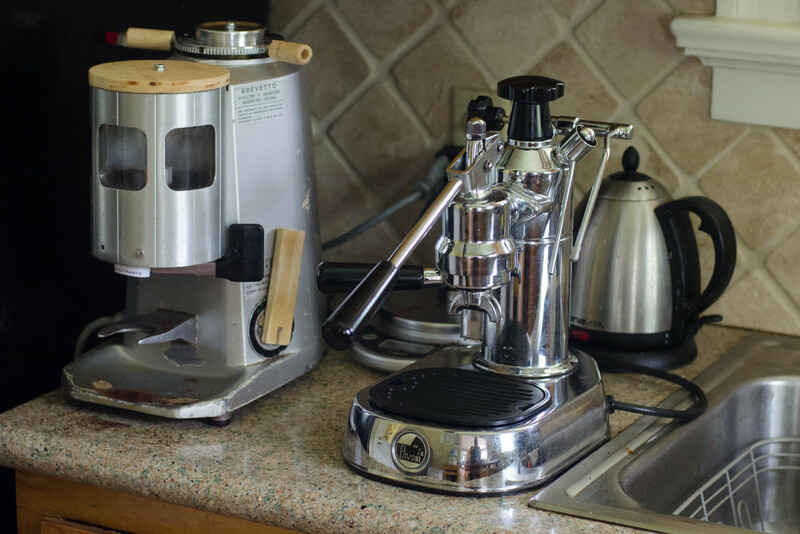 My wonderful wife found, quite by accident, a La Pavoni Europiccola Millenium in almost mint condition for $20. These machines are quite picky about almost everything - the grind of the bean, distribution in the basket, the humidity of the air, the level of water in the boiler, and then of course the temperature of the boiler, grouphead, portafilter and cup. This is before we even get to steaming milk – and I’ve skipped several important considerations that I won’t bore you with now. I’ve learned more in the last few months about the picky little details of espresso making than I ever thought I’d know. I purchased a used espresso grinder for 10 times what we paid for the Pavoni, and it would still have been a deal at 2x the price. We’re into gear (cups, steaming pitchers, tampers, you name it) up to our elbows, and we’re almost where we need to be. Drinks are consistently good, at times rising to the level of actual excellence. I can’t lie and say we’re saving any money compared to our hipster pour over days. Before this I was drinking my coffee black, and the quality of the bean was far less important. Now, we run through a little over 3 gallons of milk and 2 pounds of coffee a week, considering our needs and the needs of our guests. But my latte’s cost about a dollar ten a cup in consumables, and even when amortizing the cost of the hardware, we’re looking at $1.50 a cup if we stopped tomorrow. And there’s something that’s just delightful about watching the syrupy caffeinated magic flow into a waiting cup.